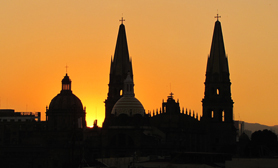 The temperature in Jalisco is considered ideal, with most of the state having a temperate climate with humid tropical summers. There is a notable rainy season from June to October. 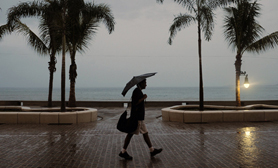 In most of the state, most of the rain falls between June and August when many foreign residents are generally back in their homelands for summer. The climate can be divided into 30 different zones from hot to cold and from very dry to semi damp. The pacific coastal area receives the most precipitation and has the warmest temperatures, at an average of between 22 and 26C (71 to 78 Fahrenheit) and an average rainfall of about 2,000 mm annually. A dry climate predominates in the north and northwest with average temperatures of between 10 and 18C (50 to 64 Fahrenheit), and average annual rainfall between 300 and 1,000mm. 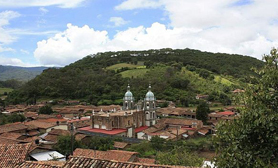 The center of Jalisco has three different climates, but all are mostly temperate with an average temperature of 19C and an average rainfall of between 700 and 1000mm. The northeastern corner and coastal plains of Tomatlan are the most arid areas with less than 500mm annually. The Los Altos region has several microclimates due to the rugged terrain. The area is mostly dry with an average temperature of 18C except in the north, where it fluctuates between 18 and 22C (64 to 71 Fahrenheit). In a variety of parts of the state there are areas with a semi-moist, temperate climate, some with average temperatures of between 10 and 18C and others of from 18 to 22C (64 to 71 Fahrenheit). The highlands areas of Jalisco known as the regions; Sierra de Manantlán, Cacola, Cuale and Mascota near the coastal plains there is the most rainfall reaching 1600mm per annum. In the highlands, the average temperature is less than 18C (64 Fahrenheit).